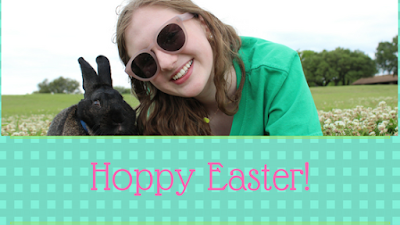 Life as Pink Einstein | Dallas Fashion and Lifestyle Blogger: Hoppy Easter! I know this is a day late but I had trouble with my computer yesterday. I just wanted to tell everyone happy Easter and share some pictures from my Easter photo shoot! If you follow my Instagram you have seen some of these on my feed in the past few weeks. My family and I went down to the lake by my house and took some Easter pictures with my bunny, Mr. Beasley! The shirt I am wear is the Jadelynn Brooke Sun's Out Buns Out shirt and you can get it and any other shirt off their website for 15% off using my code SLMHS17. And if you want to see any of these pictures larger, you can click on the picture. I hope you enjoyed looking through all of these pictures and I hope you had an amazing Easter!